One of the most brilliant man I’ve ever known. And intellect of my new mental ability, develop faith, tremendous humor and a great Catholic priest. He has been a chaplain with us and pilgrimages many times, and I’ve done parish missions for him several times and beyond all that he was a dear and trusted friend. 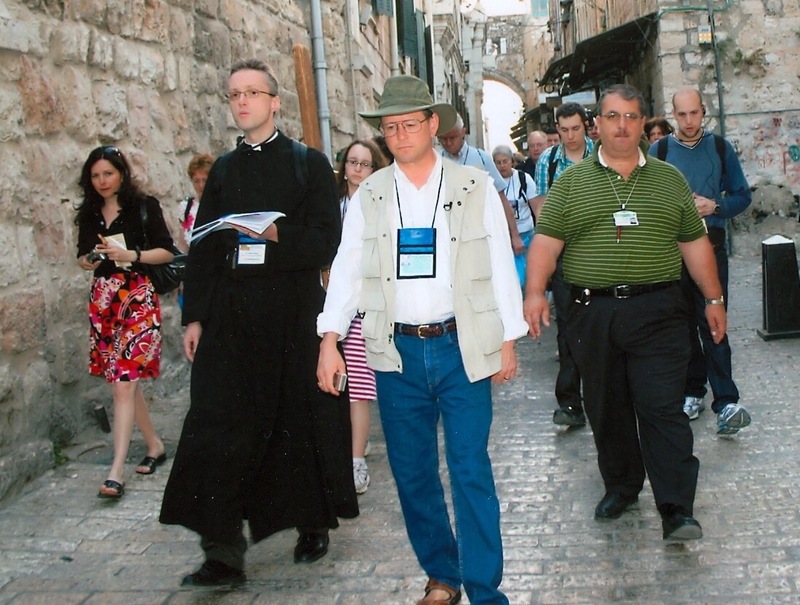 He has been a chaplain with us on pilgrimages many times, and I’ve done parish missions for him several times and beyond all that he was a dear and trusted friend. His conversion story was fabulous. From suicide atheist to Evangelical Protestant to Catholic to Catholic priest. His death his untimely. He died it only 42 years old. Pray for the repose of his soul. I’m sorry to hear this. Praying for him. May his soul rest in peace!Prayers lifted! I am so sorry for the loss of your friend and our brother in Christ. Prays for him and his families. I am so sorry for your loss. He must have been an amazing priest. I know from sharing his same progress from Athiest, to Southern Baptist to Catholic, he had in sites only an ex Athiest can have. Converts Seem To Have More passion and Awe for the faith. We truly grasp the horror of living without God and the sacraments. Praying. God Bless. I was on a Steve Ray pilgrimage to the Holy Land where Father Tharp accompanied us…I got to know him and he was a good man and Priest. My daughter Lily who is a heart patient was not yet born but we knew her condition…Father Tharp and many others prayed for her. Anyway, Father heard my confession that week and was a great spiritual director that week. I am sad but I know God must be pleased with him…God rest his soul. 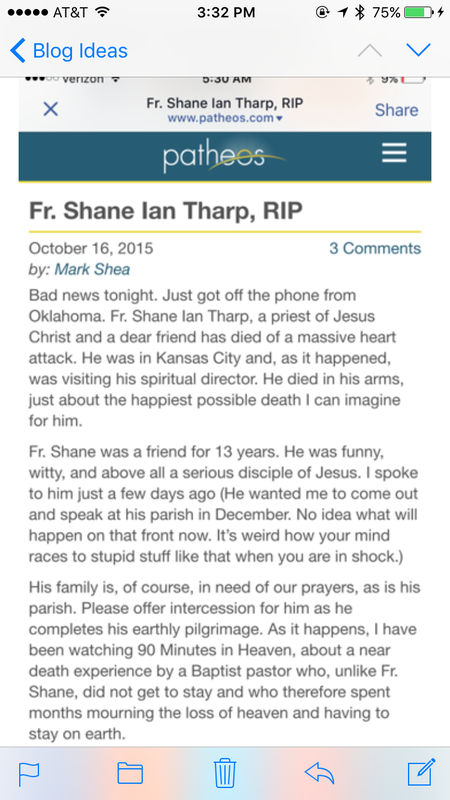 Losing any priest is a tragedy let alone a 42 year old with so much obvious dedication. I was not on any pilgrimages with Father Tharp but wish I was. May the holy angels lead Father into Paradise. So sorry to hear of the loss of your dear friend. May he be gently led before the throne of God. Oh Steve, I’m so sorry to hear this sad news – so young! I never had the honor of meeting Fr. Tharp, but remember years ago you asked me if I could perhaps use a catechism study he had authored. At that time I didn’t see how I could adapt it into a CSS Study but I told other publishers about it and I think it may have eventually been published – I hope it was. I will definitely pray for the happy repose of his soul and for his family. Thank you for sharing this news.